Can urban planning spur live music venues? Can urban planning spur live music venues? Several cities across the world offer examples of how progressive policies can help musicians. For instance, in Melbourne, Australia, under the “agent of change” principle, new developments such as condos being built next to established music venues are now responsible for their own soundproofing, which keeps venues from having to close because of noise complaints. Seattle musicians have priority loading zones in front of venues, which makes it easy to unload those awkward 30 kg amps before and after gigs. It seems simple, but it means the world when you don’t have to make six trips in the snow for a drum kit parked five blocks away. And, of course, there’s the so-called live music capital, Austin, Tex. Earlier this year, it was proposed to the Austin city council that venues be given a two-year “entertainment” licence with a streamlining permit process. If it passes, the proposal will make it easier to understand whom in local government is responsible for enforcing venue regulations. Right here at home, some say it’s Edmonton’s parking regulations that have stalled venues from opening. The Aviary’s opening, for instance, was twice delayed last year after a long battle over parking ordinances. 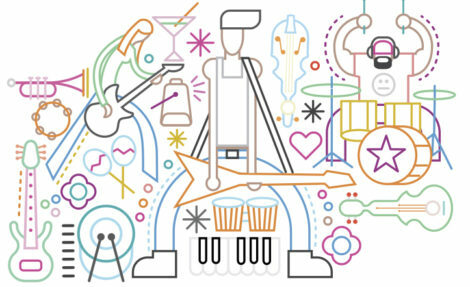 Live By Design: Can urban planning spur live music venues? C.B.W. Caswell is a three-time Alberta Magazine Awards nominated writer in categories of both fiction and non-fiction. This entry was posted in 2016 Summer, Issues.